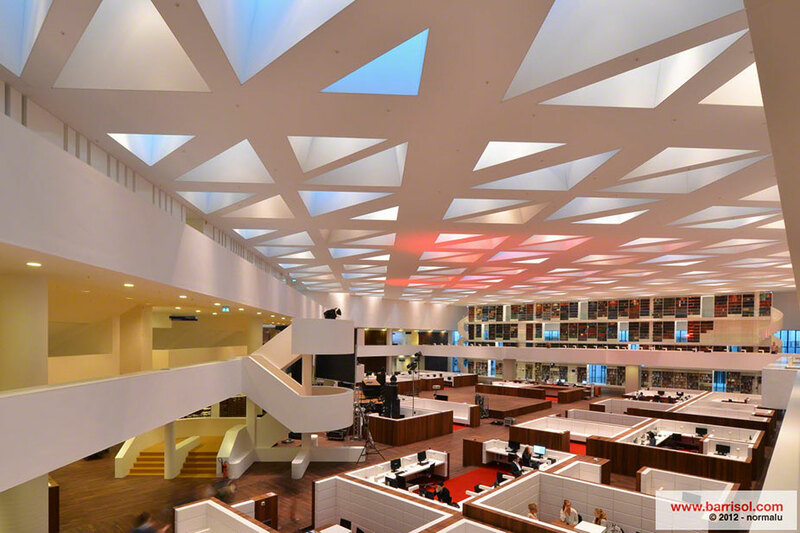 As a learning centre, the building of 16 000 sqm contains a central lobby, conference rooms, learning rooms and offices, on 3 stairs. 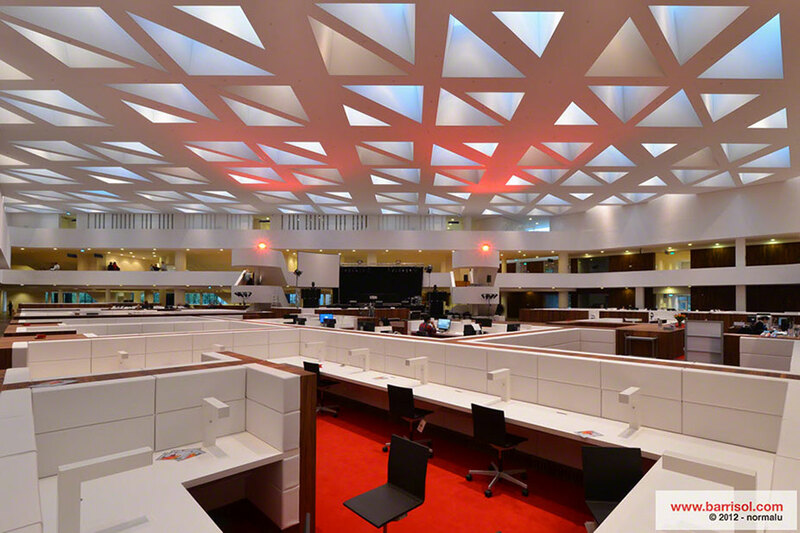 It welcomes more than 400 working or learning desks. 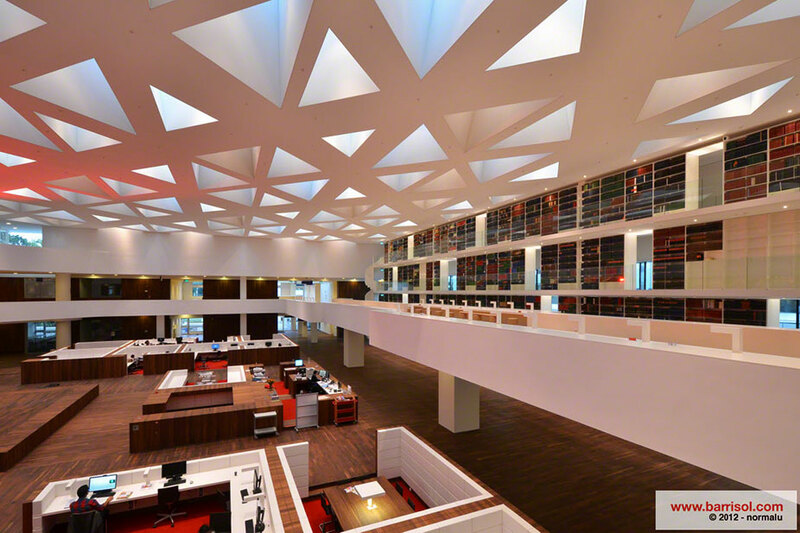 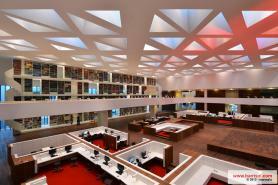 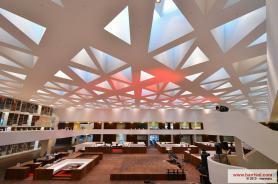 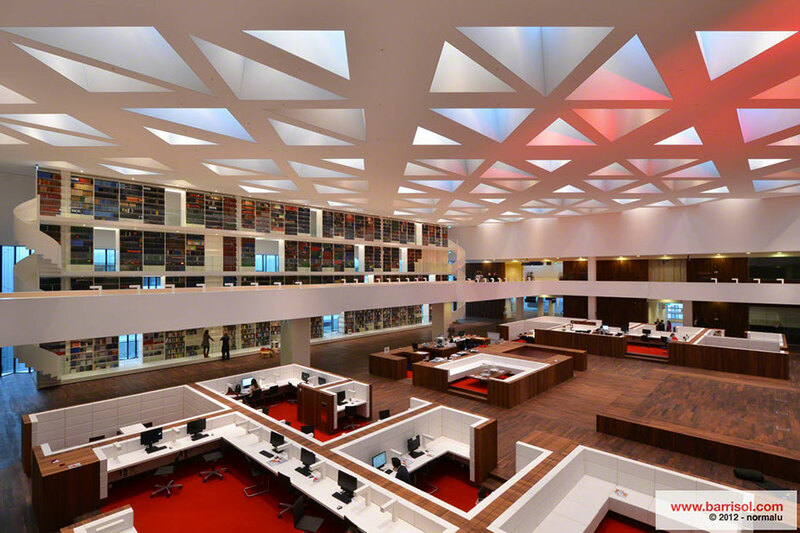 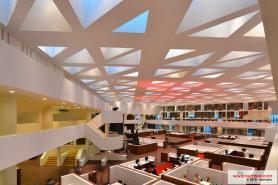 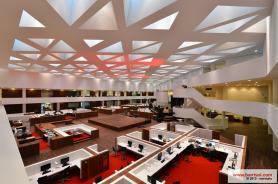 Thank to the spectacular ceiling, the central lobby is very bright and spacious. 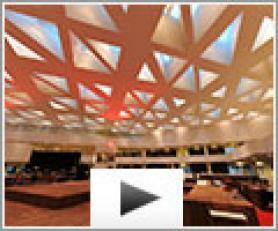 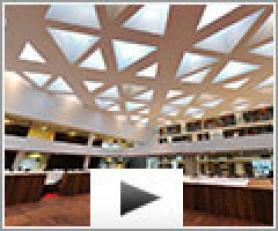 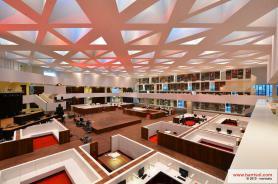 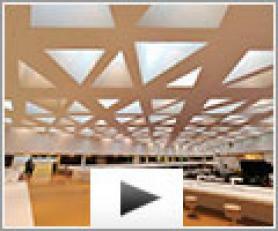 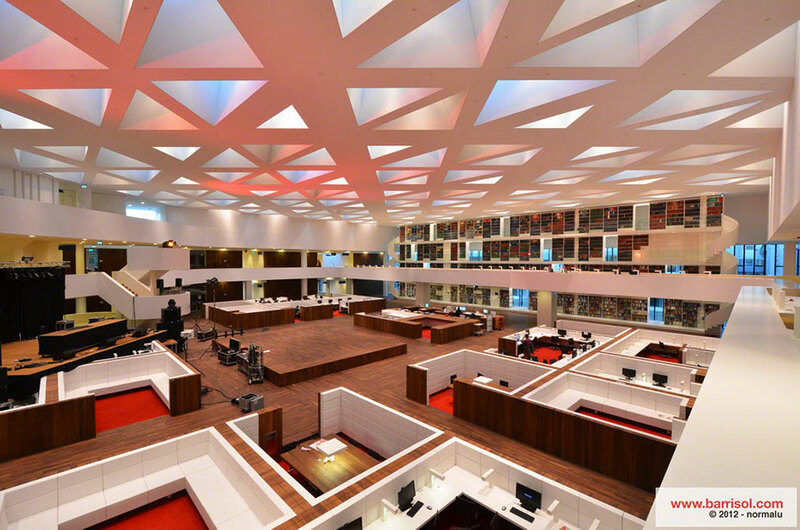 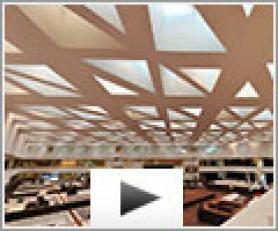 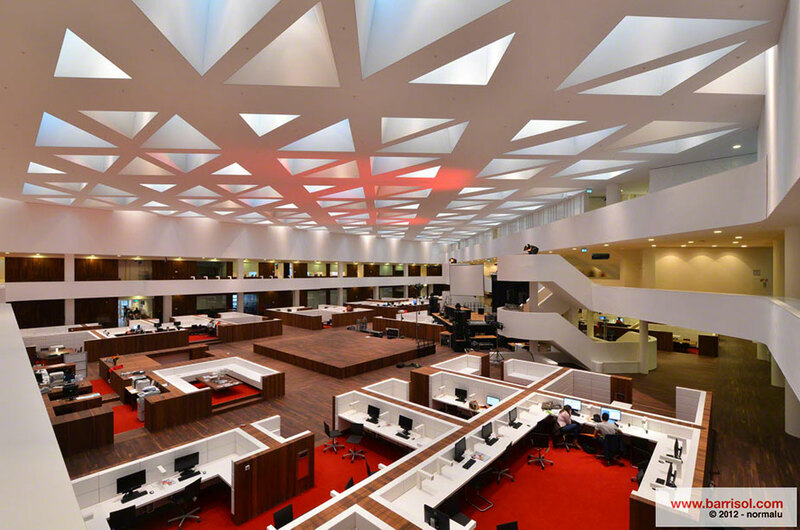 4500 m² of acoustic stretched ceiling has been installed to improve the sound comfort.